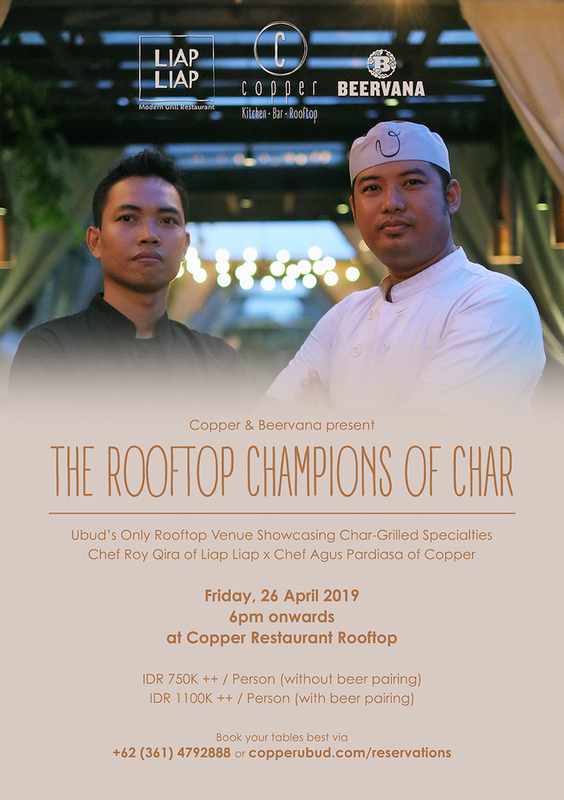 Mark your calendar and join us at our lush rooftop for a special event featuring a 6-course char-grilled specialty dinner during the 2019 fifth annual Ubud Food Festival. Bringing together the two Ubud champs, Head Chef Roy Qira of Ubud’s own authentic modern grill, Liap Liap, and Head Chef Agus Pardiasa of Ubud’s earth-to-table fusion, Copper Kitchen, to create one perfect sequence between the mouth-watering and smooth-burnt sensations to delight the palate with each hand-selected number is complemented with the finest craft beer presented by Beervana. Another substantial step to mark your ‘foodprint’ in one of the world’s best culinary destinations. 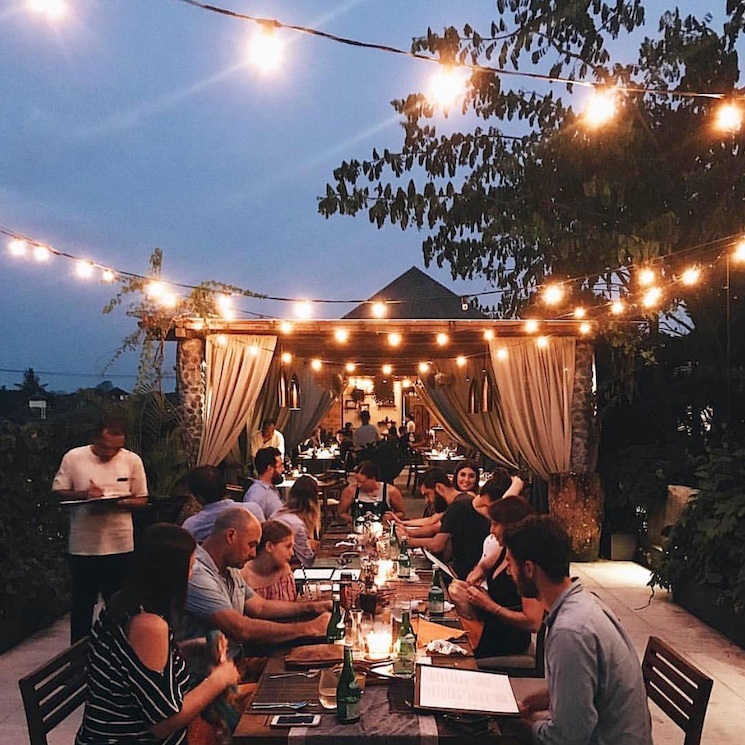 Email our Manager to reserve your table using the button below, or call us at +623614792888, or use our web booking here.